In Newsletter #47: Mary Meeker's Internet Trends Report | How hospitality technology in upending the status quo | Propel your hotel performance with the cloud. Conference season is upon us, and it’s off to a great start, with NYU and the Goldman Sachs Lodging Conference (highlights from our innovation panel are covered below). Seems the mood at NYU was a bit mixed, with owners disillusioned by their franchise fees and distribution costs, while more boutique management companies are enjoying their ability to pick up these contracts. Talent. Namely, the lack of talent in the hotel sector, with so many experts moving to technology companies. RevPAR. We are measuring the wrong metric of success today. RevPAR is too focused. We need to start looking at revenue per hour, per square foot, per employee…etc. Booking Channel Brands. Perhaps we will see a new set of brands, built around the choice of booking channel: OTAs vs Direct. More excitingly, we are hosting a technology talk with Duetto on June 15th (sign up free here). Our CTO Dmitry will be addressing the current challenges of technology in hotels and the potential for CIOs or technology leaders to make future-proofed change in their organizations. 20 of us will be at HITEC in 2 weeks. If you haven’t set your meeting with us, email back here and we can make sure you get time to see the latest ALICE product developments. Mary Meeker’s highly anticipated annual Internet Trends report is out, and there’s a lot in those 355 slides that pertains to our industry. Among the many, many topics the Kleiner Perkins venture capitalist covers are the rise of voice-based platforms (slides 46-48), online and offline synergies in marketing (slide 60), accelerating parcel/package growth and the pressure that’s putting on landlords (slides 65-66), and the robust merger and acquisition volume among technology companies relative to history (slides 326-332). We recommend clicking through the deck in its entirety, but here are some thoughts on some of her points as they relate to hotels. Online and offline synergies in marketing: Meeker talks about this with regards to the marketing of physical goods, but we often write about the importance of recognizing every phase of the guest journey (both online and off -- or, in industry terms, both in booking and on-property) as an important opportunity for hotel marketing. We recently looked at 7 must-have marketing technologies to broach this online-offline divide. Accelerating package growth: This was an exciting topic to see in Meeker’s slides, validating what we’ve been hearing from our clients and working on ourselves this past year. 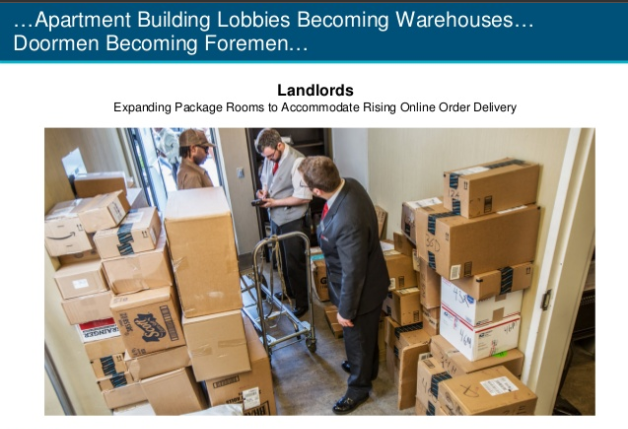 Meeker tracks accelerating parcel volume growth over the past six years, showing how e-commerce is turning apartment building lobbies into warehouses and doormen into foremen. This phenomenon isn’t restricted to apartments - many of the concierge and front desk staff we talk with reveal similar pressures, with nowhere to put all these guest packages and no effective way to manage it all. That’s why we recently released our package management tool, which makes it easy for any hotel staff member to record, maintain, and easily access a log of incoming and outgoing packages. The tool can also be used for other inventory items, like hotel amenities, loaners, and guest lost and found. Robust M&A volume: “The big are getting bigger,” writes Meeker with regards to tech industry giants, but the same could be said for our industry as well. The Starwood-Marriott merger is the most obvious example, but we’ve covered a lot of other big moves this past couple of years, from AccorHotels’ acquisition of the Fairmont, Raffles, and Swissotel brands to Expedia’s acquisition of HomeAway. Consolidation like this makes a lot of sense - you can lower your unit economics and increase your purchasing power - but what does it mean for innovation? It’s a well-established business axiom that the larger you get as a company, the slower you are to innovate. One of the biggest tech giants, Amazon, recognizes this. 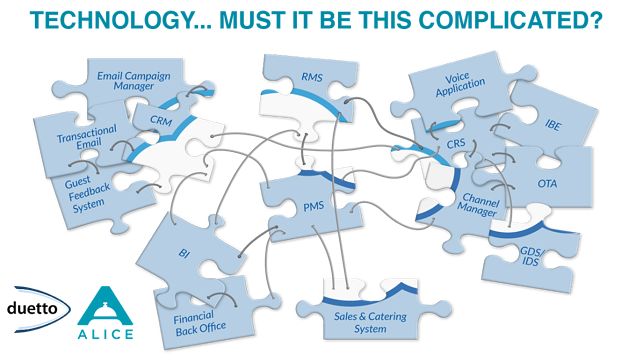 Tnooz’s Linda Fox wrote a great piece recently about how the company purposely organizes itself to make room for innovation, and what travel companies can learn from it (talk to customers and create small, interdisciplinary internal teams are just some of the takeaways). It should be noted, however, being large and getting larger doesn’t preclude innovation. Indeed, as we reported in our last newsletter, Marriott’s big challenge right now is to reconcile technology systems across its massive hotel portfolio. This could be an exciting inflection point for the company to reconceive of its technology from the ground up. The only question is, will it? 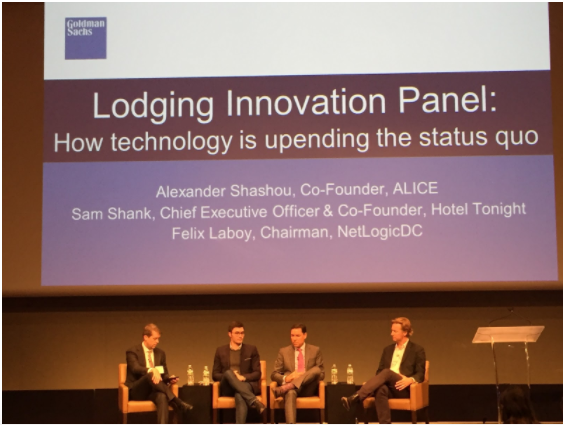 On Wednesday, ALICE Co-founder and President Alex Shashou joined Hotel Tonight Co-founder and CEO Sam Shank, and NetLogicDC’s Chairman, Felix Laboy, at Goldman Sachs’ Lodging, Gaming, Restaurant and Leisure Conference for a wide-ranging talk about how innovation in hospitality technology is upending the status quo. The deep and diverse backgrounds of the panelists (last-minute booking platform Hotel Tonight is Shank’s third hospitality technology startup, and Laboy, also a hospitality tech veteran and former President of Sabre Hospitality Solutions, specializes in hotel cyber security) leant itself well to a discussion that covered topics like whether brands still matter in lodging, the role of AI in hospitality, the fragmented state of the hospitality technology industry, and the opportunities in hospitality because of technology more broadly. Do brands still matter in lodging? Broadly speaking, yes (especially from an investor perspective), but the panelists emphasized their waning relevance for certain segments of the market, like Millennials. The panelists also agreed the particular experience hotels provide is what’s engendering loyalty these days. Shank noted an interesting industry dynamic currently, which is that both the big brands and Airbnb are converging upon a similar guest experience, somewhere in the middle of the two offerings. That is to say, the reigning experience of the day is one that is authentic (the hallmark of the Airbnb offering), but also consistent (the speciality of hotels). Will we see consolidation in hospitality tech? The panelists noted the fragmented state of the industry and the inevitability of consolidation. Shashou explained why one billion dollar valuated companies are so uncommon in hospitality tech - the long sales cycle, the cost of technology implementation and switching between technologies in hotels, and the talent crunch - and the realization that most of the largest hospitality technology companies have either spent 20 years building their scale or done so through acquisition. Google’s rebranding of itself as an AI company changes everything, says Laboy (we wrote about this recent rebranding in Newsletter 44). AI in hospitality is inevitable, but it’s going to take a bit of time. Right now, Laboy sees the biggest opportunity for AI in recommendations and personalizing the guest experience. Adding AI to loyalty programming will be incredibly powerful, added Shashou. This quick-fire round brought up a lot of interesting points. There’s a future for hotels in providing services beyond the hotel. Hotels are now services companies. Moderator Stephen Grambling of Goldman Sachs highlighted the resourcefulness of ALICE client Bermondsey Square, which is using ALICE to manage Airbnbs in the local area. The UK hotel’s novel “SquAIR” program gives access to its in-house functions (including housekeeping services, key management, and maintenance) to any vacation rental within one mile of its location. In Newsletter 41, we highlighted how Accor is taking a slightly different approach to this same theme, repositioning some of their hotels as local neighborhood hubs for locals. According to CEO Sebastien Bazin, the company plans to get into “zillions” of services, among them “having hotels assist locals with simple tasks and solving everyday solutions like holding packages or keys or recommending the best services nearby.” Looking outside the hotel for more revenue opportunities is a great way to further leverage both labor with deep expertise and fixed costs (the properties themselves) when competing against something like Airbnb, which is both asset light and labor light. Hotels are starting to look beyond RevPAR. Shashou said he thinks there’s big opportunities for hotels that look beyond RevPAR as a true basis of success. You can optimize hotel performance at every single instance and more innovative hoteliers are broadening their focus to to revenue per available hour or revenue per square foot. This point ties in with the one about leveraging hotel services and one of our major themes - the idea of turning your hotel into a platform more broadly. Technology makes things cheaper, with big potential upside for hotels. Last newsletter we highlighted how improved translation technology spells opportunity for hotels, encouraging more travel and providing cost-savings and improved service for hotels without the budget for a broadly multilingual staff. Other technological advances in the near and longer term have the potential to drive costs down for hotels as well. Where hotels had to buy, integrate and train on multiple systems to run their operations, the advancement of cloud and mobile technology has enabled a modern breed of technology vendors to offer so much more for so much less. How will autonomous vehicles impact hotels? Shank acknowledged it’s still many years until driverless technology hits the mainstream, but said it’s not too early to start the conversation about what AVs mean for hotels. In Newsletter 45, we talked about VC Benedict Evans’ thoughts for our driverless future and how it might relate to hotels. If transportation is door-to-door, then do hotels start to rethink their location needs? If guests don’t need to park, what could hotels do with their parking spaces? Will location continue to matter for hotels? And what will happen to the archetypal roadside motel? 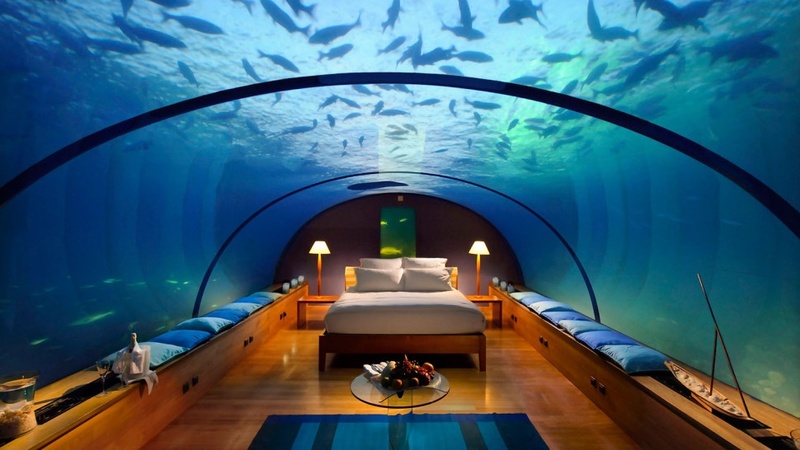 What other opportunities do you think technology is providing or will provide for hotels? Send us your ideas and we’ll write about it in a future newsletter. Technology - must it be so complicated? Save the date! ALICE and Duetto are hosting a live online presentation on June 15th at 12pm EST to reveal how technology decision makers can leverage cloud technology to propel hotel performance. Description: Hotels have invested in numerous technology systems to keep up with all the ways consumers can interact with them in the digital space, but are they set up to win in the future? Between a complex landscape of legacy technology, the abundance of analog operational processes, and a crowded field of providers trying to innovate in the hospitality space, many hotels have arrived at an expensive, inefficient tech stack. But advancements in cloud architecture and mobile technology represent an opportunity to migrate data and systems to an environment that lets hotels advance their revenue and guest engagement strategies. These new ideas have already been successfully implemented in most other service industries, lowering the cost of doing business, creating the ability to provide better service, and increasing the loyalty of their customer base. Transitioning from legacy systems and analog processes to cloud-based applications built to meet guests’ expectations for digital convenience, while coordinating hotels’ back-office operations and fostering collaboration. Conceptualizing an IT stack less reliant on in-house systems that lets properties focus on guest service while technology specialists concentrate on innovation, integration and interoperability. Driving profitability by lowering costs for technology while increasing revenue through greater guest service and revenue strategies. 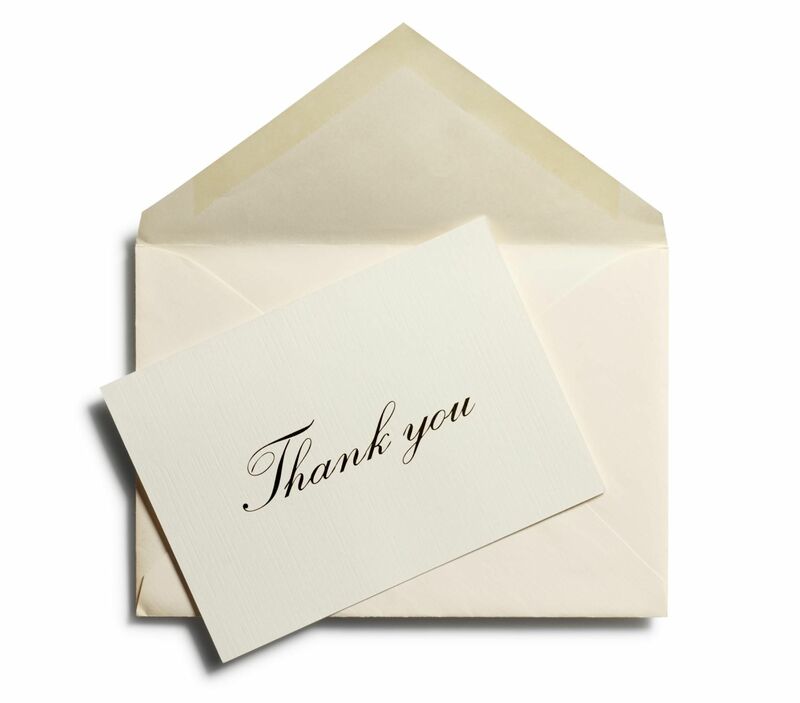 To save your seat for the June 15th webinar, please sign up here. We look forward to seeing you there.